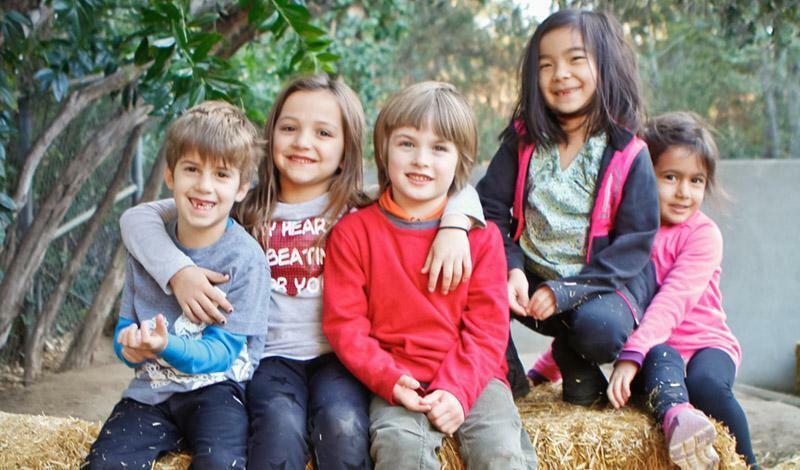 In Waldorf education, our view of the young child is based on the principles of Rudolf Steiner’s philosophy of the developing human being. 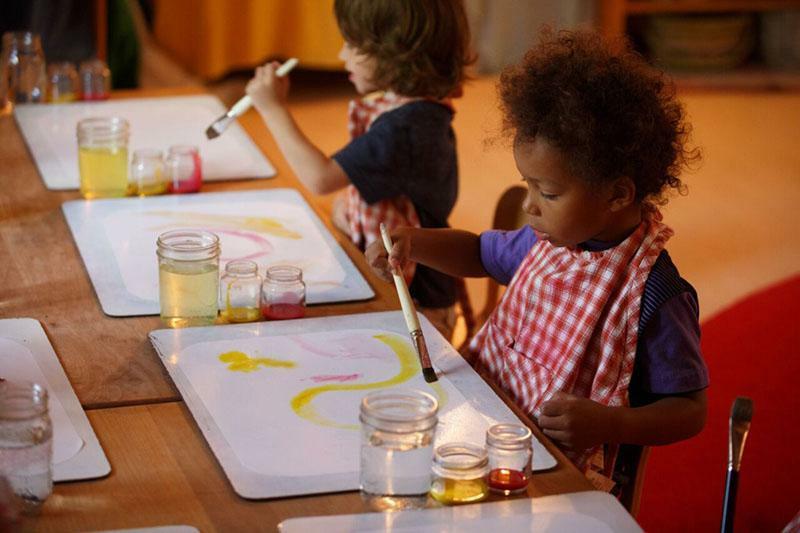 Before age seven, children learn through imitation, through their senses, and by actively exploring their environment and participating in meaningful work. The early childhood teacher strives to be a strong, nurturing presence whom the children willingly imitate. 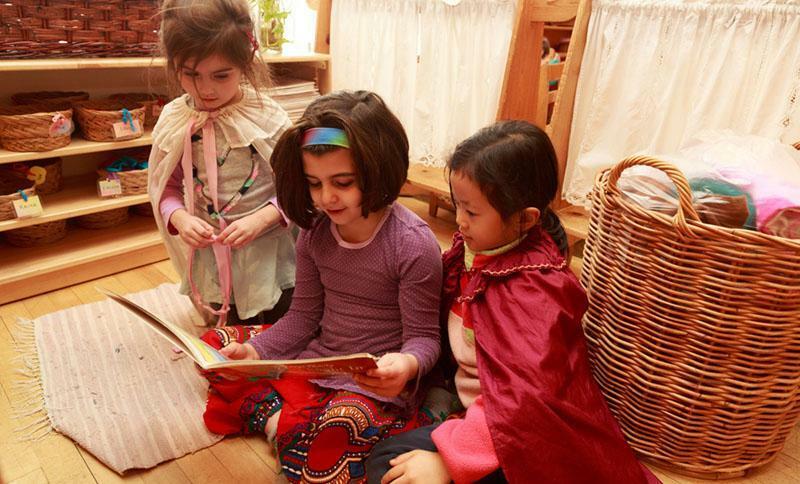 Our classrooms offer a harmonious, inviting space, where children relax in the peaceful environment that is designed to be an extension of home. The pre-kindergarten and kindergarten classrooms are filled with simple toys of wood, wool, and cloth, and many items from nature, such as pine cones, stones, shells and seasonal treasures. Our outdoor play yards are lined with beautiful gardens, rolling hills, and plenty of shade trees, as well as ample space for running, digging, gardening, swinging and climbing. 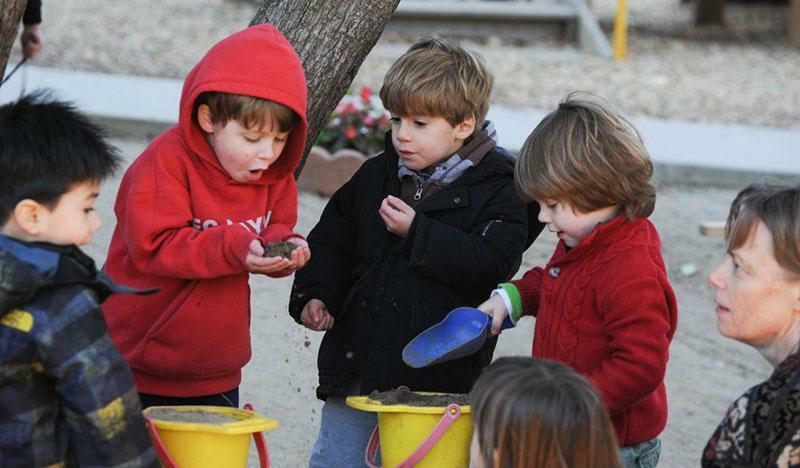 We have well-designed play structures and quiet, shaded sand boxes which provide a balanced outdoor play environment. A cornerstone of the early childhood experience is the rhythm or routine of the day, which is a consciously balanced program that weaves active, outward activities with quiet, inward activities into a beautiful fabric that brings comfort and security to the children, and greatly reduces the need for discipline. We also emphasize nourishing, organic food, and each morning the children help prepare and serve organic, whole grain snacks, such as brown rice, vegetable soup and fresh baked bread. The curriculum and activities in the pre-kindergarten and kindergarten respect and support the sensory-motor mode of the young child. During circle time, the teacher leads the children on movement journeys to verse and song, strengthening their physical development and language acquisition; at story time, the teacher creates a magical environment that allows the children to delve into their imagination and travel on a rich, picturesque journey through the spoken word. During indoor play time, the teachers are often actively engaged in household work, such as baking, cooking, ironing and cleaning, allowing the children to enter deeply into imaginative play. When outdoors, the teachers might take on a gardening project with the children, or lead them on a nature walk through our beautiful campus. Our pre-kindergarten classes serve children 2 1/2 to 4 1/2 years old and offer a half-day (8am - 12:30pm) or full-day (8am - 3pm) program with a 3, 4 or 5 day per week option. Kindergarten classes serve children 4 ½ to 6 years old and offer a full-day (8am - 3pm), 5 day per week program. An aftercare program is available from 3:00pm until 6:00pm.